Jarno is an ICT entrepreneur and project engineer with over 15 years of industry experience. He has been involved in the crypto space for over 4 years as a blockchain consultant, investor and active contributor in the Dutch blockchain community. 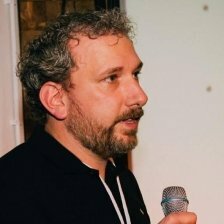 Currently, he is running the European Headquarters of the Waves Platform, which he’s been involved with since the ICO stage. Finally, Jarno is the co-founder of Wavesnode.net, the 2nd largest node of the Waves Platform.